Guido Incerti studied architecture at IUAV (Istituto Universitario di Architettura di Venezia) in Venice, Italy and at TU Delft (Delft University of Technology) in the Netherlands. He has work experiences at Will Alsop Associates and at DS+R (Diller Scofidio + Renfro). In 2004, he co-founded nEmoGruppo Architetti, with 8 other young architects. 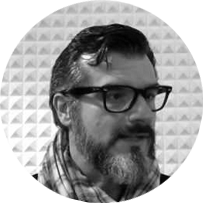 As a partner of nEmoGruppo, he participated in and was awarded in many design competitions and projects especially in the field of urban planning and architectural design. In 2007 he began post-graduate studies, receiving his PhD in Architectural Theory and Design in 2010, with a final thesis about the connection between psychology, body and architectural space. In 2008 he participated together with DS+R in the XIII Biennale di Architettura di Venezia curated by Aaron Betsky. He has taught at the Università di Firenze, at the Royal College of Art in London, at Ferrara Faculty of Architecture and at Washington State University, Florence Program. – Guido Incerti, Daria Ricchi, Deane Simpson, Diller + Scofidio (+ Renfro): The Ciliary Function (Skira, 2007). – Michela De Poli, Guido Incerti, Manual of Recycled Landscapes (Skira, 2012).